Let’s face it: The iTunes Store’s HD movie section has a ways to go before it ranks among Apple’s crowning achievements. The studios are still way too attached to physical Blu-ray and DVD sales, and old films are too often priced at the new-film premium of $20. Apple took a step on Tuesday to address at least one of these problems. 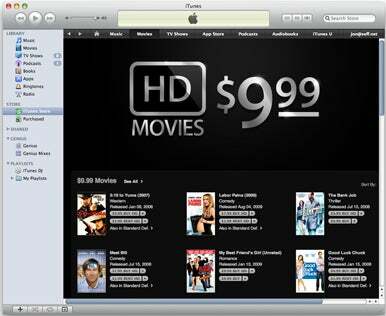 This isn’t the first time Apple has made a push for reasonable prices on some of the iTunes Store’s HD movie selection. When it added a ton of new HD movies last November, prices loosened up on a handful of HD films, including Top Gun for $18 and Terminator 2 for $13. If the studios keep meeting consumer demand like this, they might run the risk of actually attracting customers to the iTunes Store movie aisles.